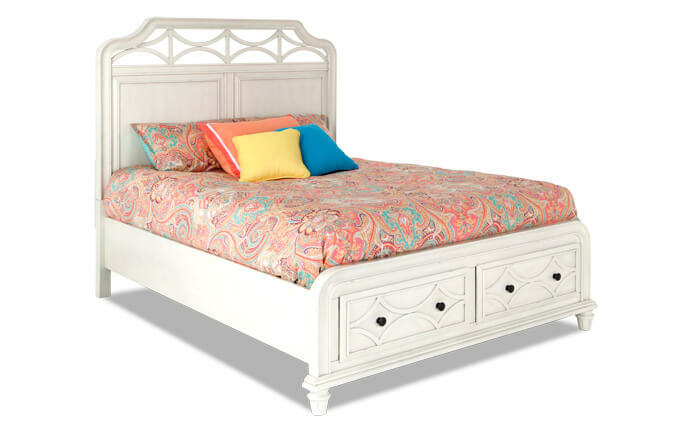 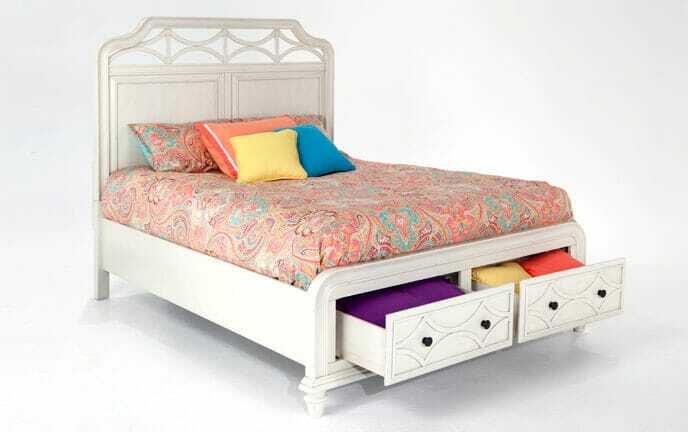 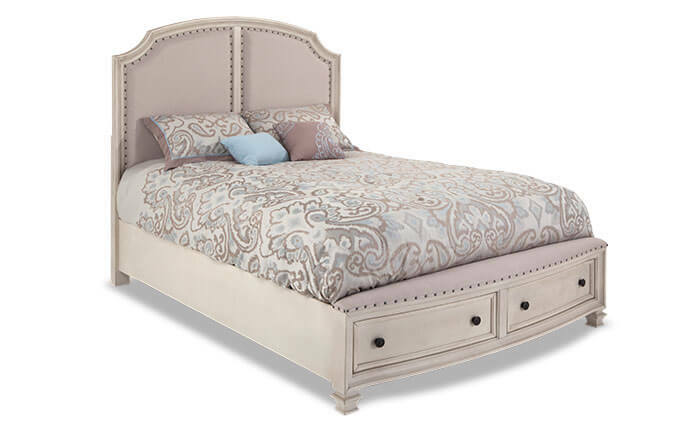 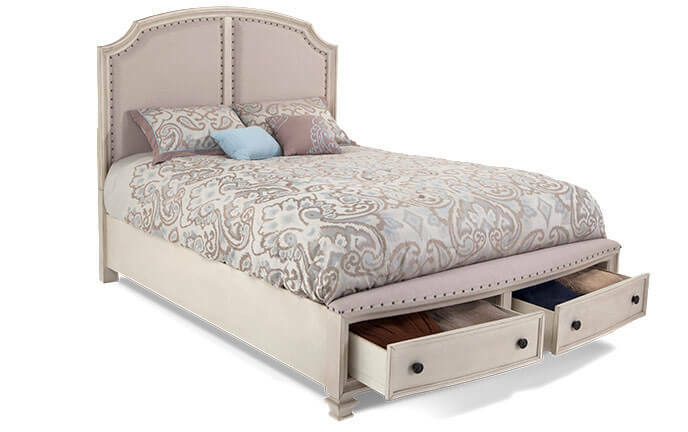 Add cottage style to your bedroom with my chic Scarlett Bed! 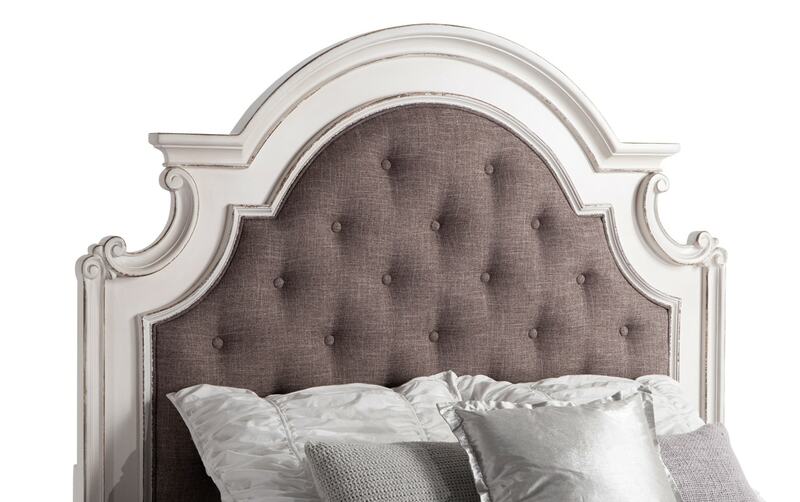 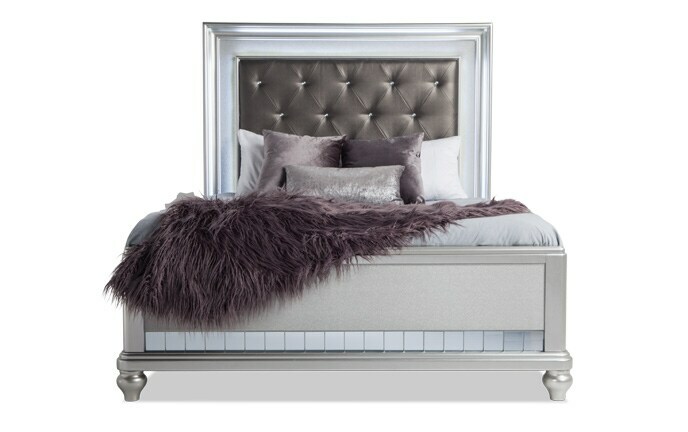 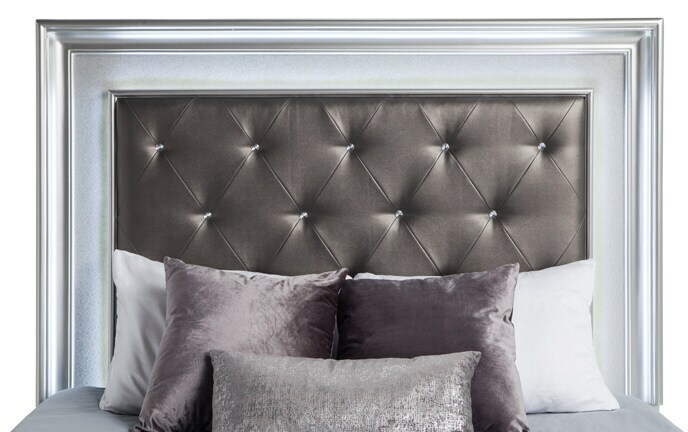 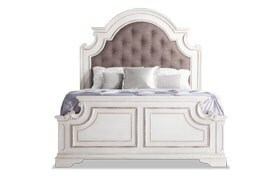 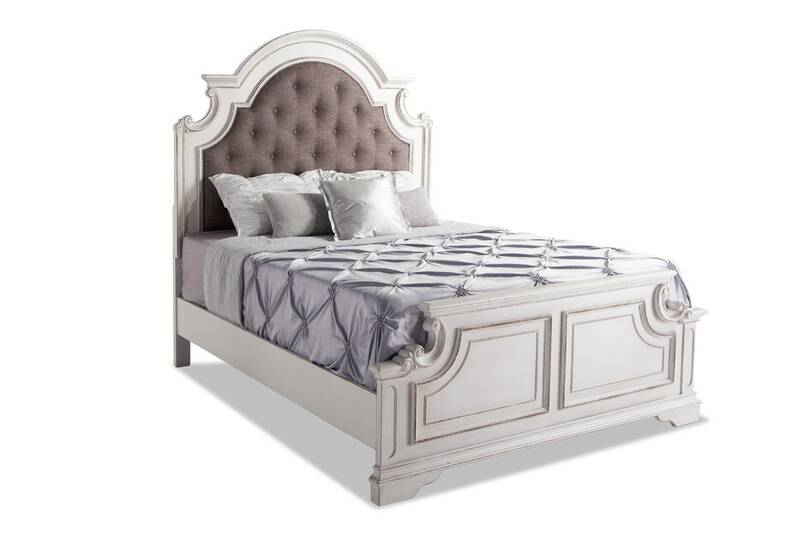 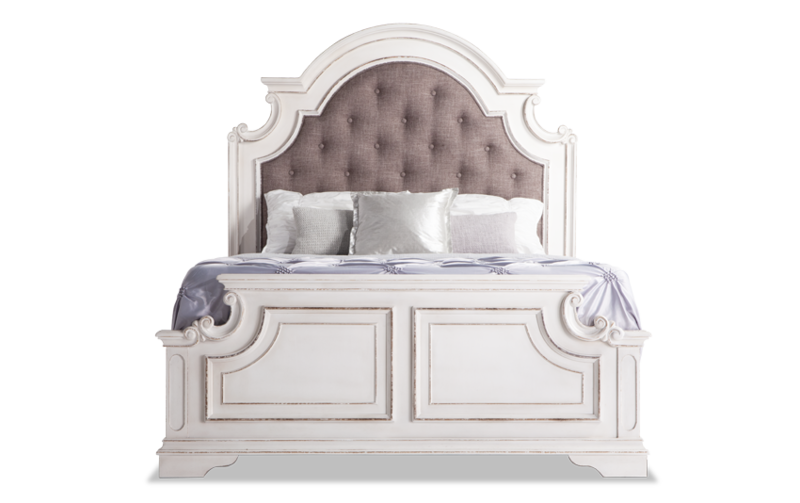 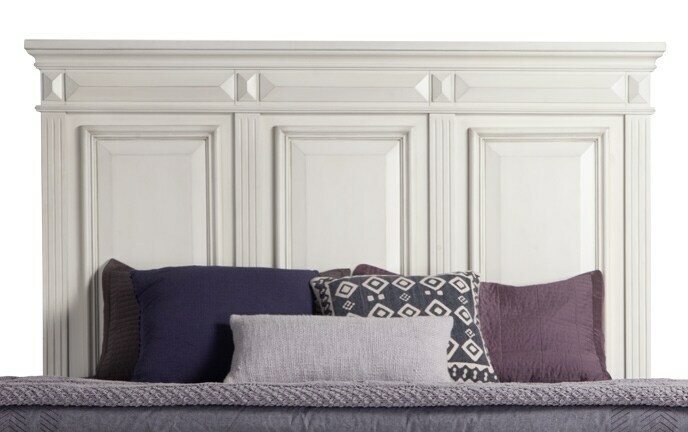 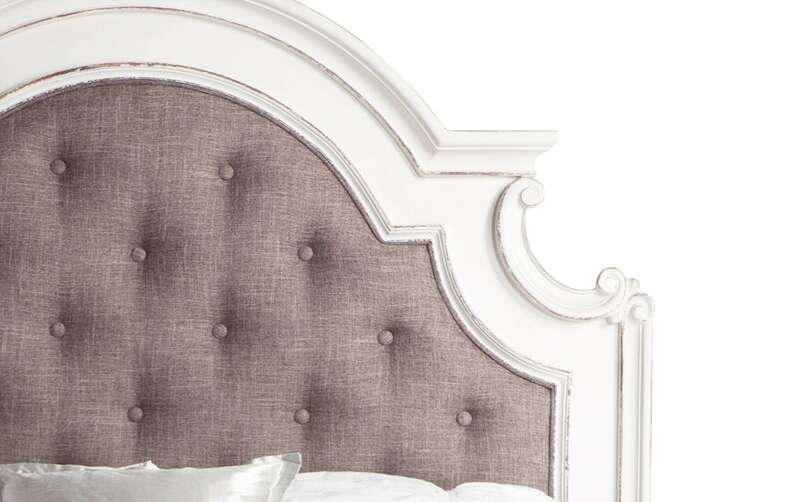 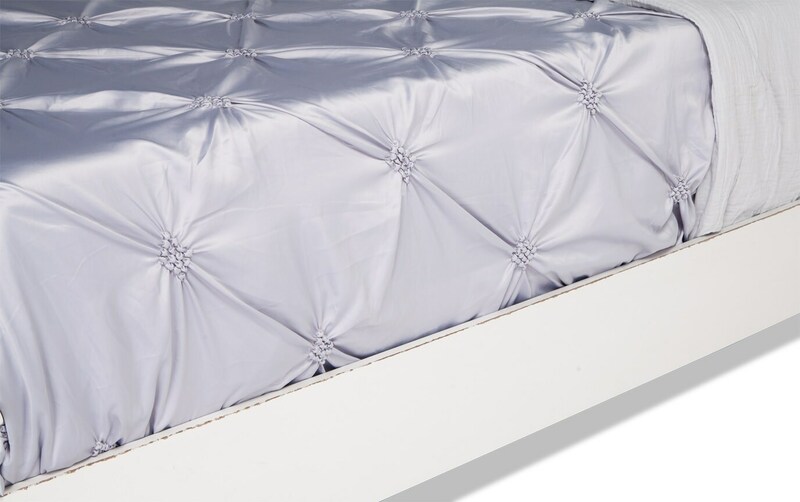 A plush, upholstered headboard with tufted details stands out against the white finish. 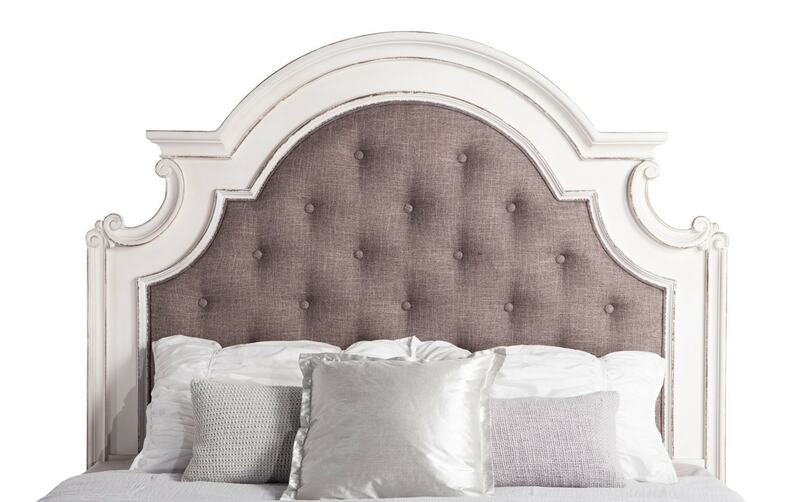 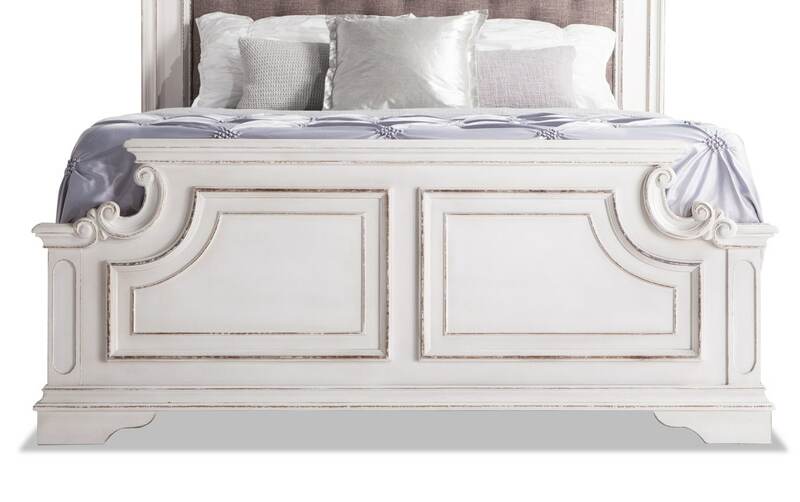 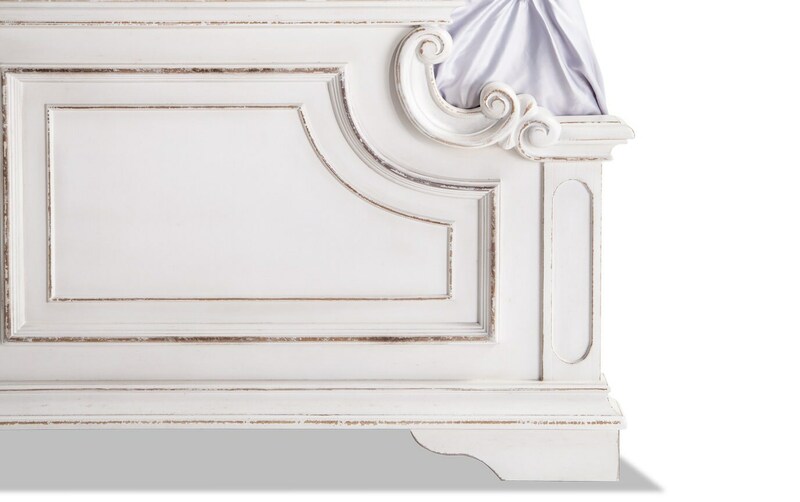 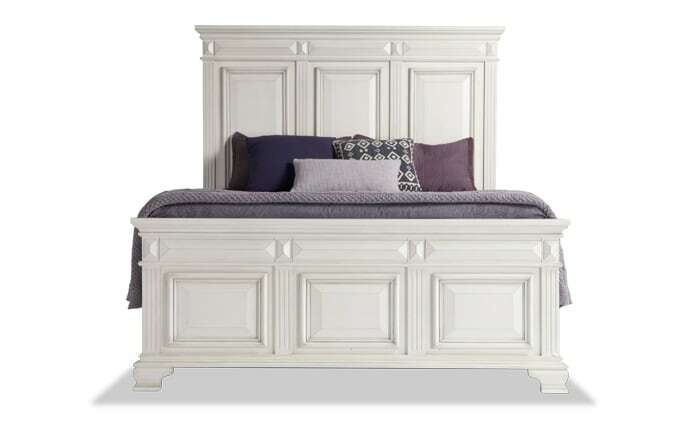 Details in the headboard and footboard give this bed the luxurious look you want without the expensive price tag.